Depending on the season, Blue or Black Marlin, Tuna, Shark, Dorado, Wahoo and other game fish await you during your stay on Praslin island in the Seychelles. 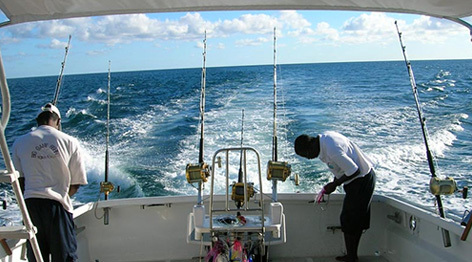 Deep sea fishing, one of the most exciting experience to discover is available throughout the year. Our front desk team will be glad to assist you upon arrival.